Flying his Sith Infiltrator, Darth Maul tracks two Jedi to a remote planet and engages them in a lightsaber duel. 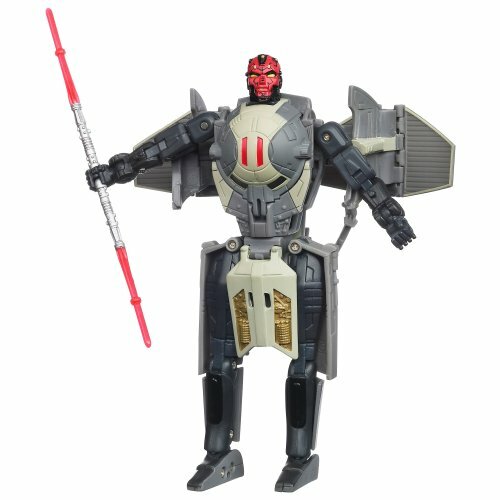 But when its time for handtohand combat, convert it to DARTH MAUL robot mode, exactly where the projectiles convert to a terrifying doublebladed lightsaber! 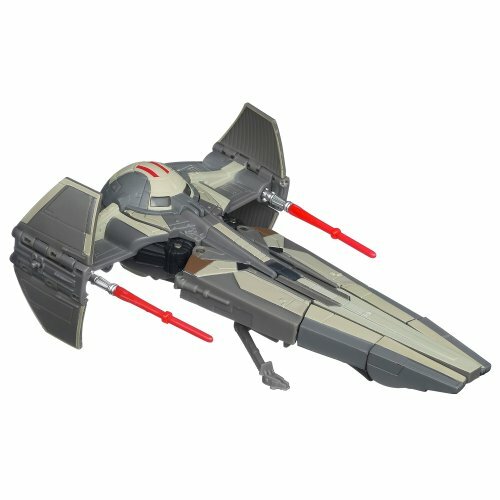 Get intergalactic Star Wars action and vehicletorobot TRANSFORMERS action in 1 incredible figure! Its double trouble for all who defy your DARTH MAUL figure or your SITH INFILTRATOR automobile! 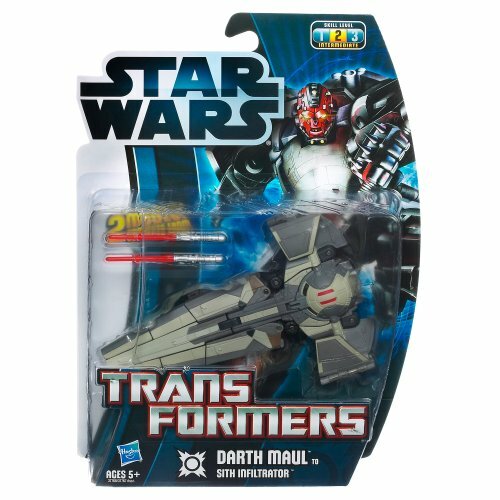 The Jedi are skilled fighters, but Maul has a secret weapon he changes the Sith Infiltrator into a strong robot that is programmed to battle Jedi. Includes figure and 2 projectiles. 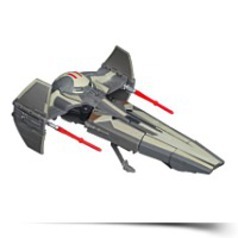 This SITH INFILTRATOR vehicle has 2 launching projectiles that fire from its cannons in car mode. Product Dim. : Height: 2.87" Length: 9.02" Depth: 12.01"
Package: Height: 2.6" Length: 8" Width: 7.2"